The 2012 NBA finals may come down to tonight’s game between the Miami Heat and the Oklahoma City Thunder , but Go To Team’s Atlanta based Director of Photography, Tom Wells, was there in the beginning before the finals began. 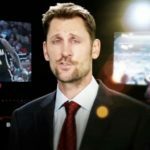 Turner owned NBA TV recently contracted Tom to oversee the technical production of their image spot, promoting the NBA Playoffs on the network. 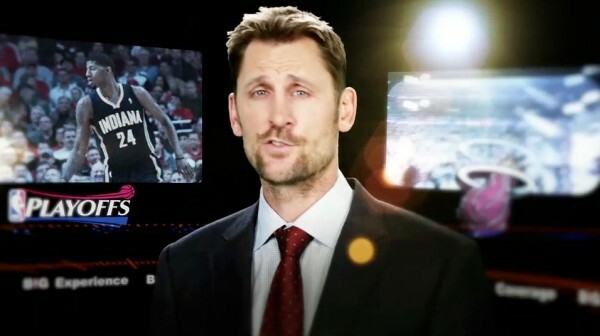 The purpose of the spot was to promote the “360 degree” coverage that NBA TV provides during the playoffs, and the idea was to show NBA TV’s main hosts spinning around in a nebulous-type environment with NBA videos and graphics spinning around them while they delivered their lines. The commercial was graphics intense and to pull it off required a 60’x40′ green screen, a rotating platform for the talent to stand on and circular dolly track to add to the spinning effect around the talent. Because of the extensive 2D and 3D rendering required the commercial was shot on the ARRI Alexa, utilizing the 2K ARRIRAW format that the camera is capable of delivering. To light such a big green screen properly required some equally large lights, including 5 6K Space Lights for the screen itself and 2 20K’s for keying the talent. 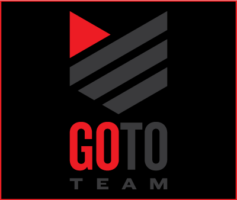 The spot aired multiple times during each NBA Playoff game on NBA TV.